Home / Essays / Harris, Larry S.
Suddenly voices are distances away, an awareness of perspiration, and the faint whisper of breath. Should my life pass before my eyes? Is it too soon?- This inner turmoil I could only image. I can only claim this as the tip of the iceberg of the feelings James Rhio O’ Connor must have endured the day he was told of his “faith“. Sixty-year-old Connor was diagnosed with Pleural Mesothelioma-a cancer that forms in the membrane and lines the chest cavities. This specific type of cancer mainly strikes men between the ages of 60-80, and is usually cause by exposure of asbestos. Connor was given only a year to live. As I put myself into that situation, I can only think of the anger that would corrupt me inside; a feeling of betrayal- Myself, my god, and by harsh words of the doctor. I could comprehend a nostalgia, longing to go back in time to those moments and, somehow, being able to avoiding the infection. Whether or not James Rhio O’ Connor felt these feeling, what is apparent is his brave ability to look pass his diagnosis. I could only hope to be able to model O’Connor’s optimism; for James Rhio O’ Connor, heard those fatal terms, but he, himself, decided different. Through supplements, a changed diet, and psychological therapy, O’Connor gave himself the rest of his life (surviving an additional seven years). I am impressed by the methods O’ Connor used. Many live in fear of the disease that has become a house held name in Western Society. Although I can not fully understand what it means to have a terminal disease, I do completely agree with the decisions he made. In this essay I would like to discuss the research and methods I would use if I was diagnose with Pleural Mesothelimoa, and given only a year to live. I must ask myself, “What would I do?” As my motto is with everything in life, reading and researching is the only for sure way to understand a problem. In this era, many scientist and researchers are daily finding new answers when it comes to dealing with cancer. I feel that there are options. As a whole we generally forget about the strength of natural herbs. When it comes to any sickness, be it mental or physical, our society hugely underrates the power of the mind and spiritual determination. All these things helped O’Connor prolong his life; they also proved to be more effective and positive to his body, rather than harmful methods such as trimodal therapy. Pleural Mesothelioma spread in the inward surrounding tissues of the lungs. Nodule form in the pleura of the chest. This causes compressing of the lungs, making it difficult to breathe. When one is diagnoses with such a terminal sickness, where does one begins to re-established his own life? Shaken into actual reality, that would make the busiest person scoff at their own schedule planner. My first decision would be to get a second opinion. Many times patient are miss diagnosed depending on the scan the doctor choose. CT scans are more definitive, and may show not only the effusion. MRI is more sensitive in determining chest wall invasion and spread of diaphragm. PET may help in staging Pleural Mesothelioma for possible surgical resection by ruling out extension to the contra lateral lung or to other distance. This gives one a clear understanding of their condition and a more distinctive outlook of the cancer’s progress; but it would also allow the time to come to terms with it. Once I am able to fully analyze my situation, I have an important decision to make: I can take the advice of my doctor, and prepare myself for death, or I can, like O’Connar, go out fighting. I would choose the latter. In the age that we live in resources are at our disposal. For me, the only logical choice would be to grab my Starbucks gift card, and a hand full of books. Consistently reading crosses that line of ignorance and knowledge. Journals are great for scientific updates on discoveries in cancer cases. These journals are helpful for straight facts; for example: Molecular Diagnosis & Therapy, Lung Cancer, Internal Medicine, Revue des Maladies Respiratoires are a few useful journals that discuss innovative methods in dealing with different types of cancer. Today we are just a click away from the world- Meaning new techniques and medicines are assessable from all over the world. The internet is one of the most significant advancement. I would definitely utilize the internet to find the most amount of information on my condition. It would be imperative for me to look toward my community as a source. It would be important for me to remember that I wasn’t the only one with Pleural Mesothelioma- As ridiculous as it may sound, it is something that’s easy to forget when one is consumed by their own personal crisis. 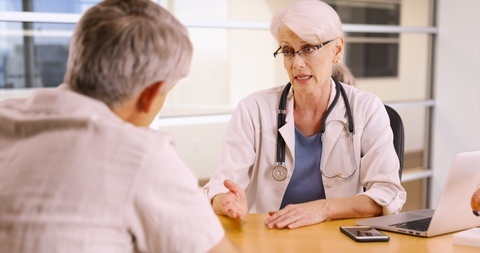 Talking to other patients about their decision and their reasoning would be an important factor for me. Most importantly it is necessary not to feel alone, and become apart of a community. James Rhio O’Connar didn’t have the choice of surgery, and was told that chemotherapy wouldn’t significantly increase the length his of life (www.survivingmesothelima). It was the lack those choices that lead O’Connor toward a more natural and healthier direction. 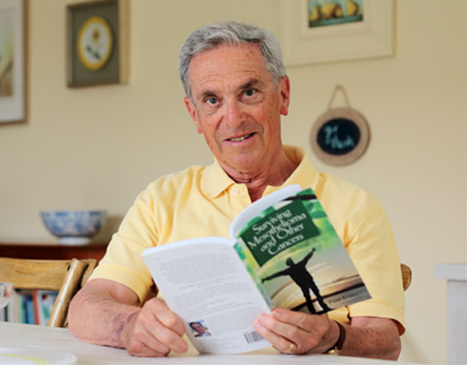 In his books, he talk of the more natural alternative he took in surviving Mesothelioma cancer. He used different supplements, vitamins and nutrients-This would be one of my top choices without a doubt. There are revolutionary ideal being developed for cancer such as immunotherapy, which focus on cell stimulation, “William Coley, MD, a New York surgeon, first noted that getting an infection after surgery seemed to help some cancer patients”. These healthier methods gives hope for future medical developments. Me, personally, as the hippie I am, would turn my focus on herbal treatments for cancer. Although our media and society ignorers it, herbal treatments are effective. We are generally taught that modern medicine is the best vise, and we blindly pop a pill without questions. This media influence dogmatism is what leads some victims of cancer struggling for a quality life. Garlic in most cases has been proved to be effective in cancer cases. “Garlic is the number one anti-bacterial, anti-viral, anti-fungal, and anti-parasitical herbs,”. Just as the idea of immunotherapy, Echinacea is a powerful herb that can stimulate the immune system. Another herb that can help when curing cancer is the Poke Root, a anti-cancer and anti-tumor herb, that has, in some cases, “burned cancers away”. These are only a few herbs among many that has been able to either asses with curing or actually cured cancer.. Not only have these remedies been helpful for centuries, but these aren’t likely to cause any harm to the body. Finally, it would be important for me to carry on with my life regardless of the diagnosis. O’ Connor mentions mind body medicine, which is a study of how the mind and emotion, when focus, can effect the body positively (O’ Connor, J, R). The strength of mind is mystifying. Scientist still cannot quite comprehend the power of our minds. Just our optimism can decided how our body make react to an infection. The term mind over matter is a references to supernatural act our body can perform if properly stimulated. This is repeated in ethical/religious ideology. Sayings like: “What you put out is what you get back“, “don’t say that, it might happen” or “He spoke it into existence” all support the idea of the supernatural mind. As far as healing a terminal disease, it has been found true in some cases. Patients with a similar disease can have completely contrasting outcomes, and often the will of the patient makes the difference. It’s said that if you’re willing there is a way. There are many ways to stimulate your mind and spirit: Exercising, the food we eat, reading is a definite stimulation, music can directly inspire the soul, and an active social life keeps the mind busy. All of these things we tend to take for granted. I believe when it comes to battling a deadly sickness these would be my top priorities .